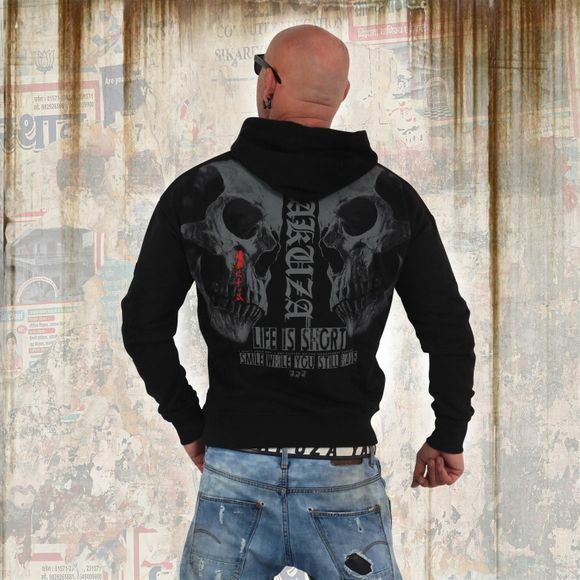 YAKUZA ESCOBAR TWO FACE men's hoodie. This classic over-the-head hoodie features a drawstring hood. Finished with contrasting panels, embroideries and vintage print design as well as a Yakuza leather tab on side seam. Extremely comfortable to wear thanks to supersoft cotton. Please watch out for our size specifications and the washing instructions below. Es ist noch keine Bewertung für Escobar Two Face Hoodie abgegeben worden.